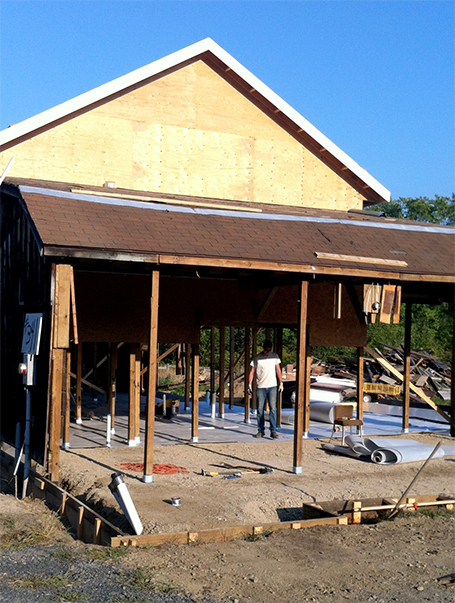 BUILDING NEWS: Renovation Update September 2014 - Slab Sandwich and a cupola candidate? Now that the upper portion of 10 Horse is protected from the elements, it's time to start thinking about protecting the lower one, too. 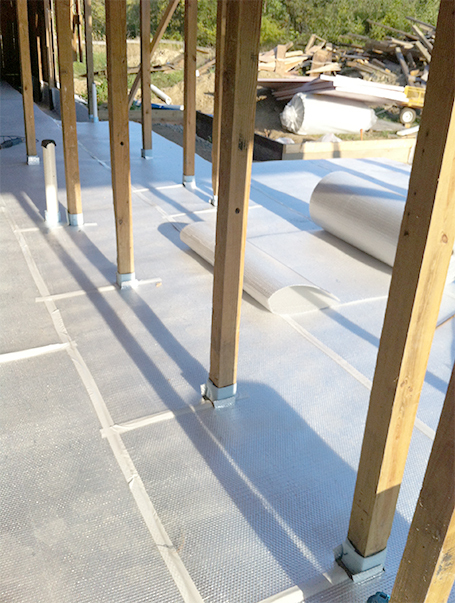 Before the concrete slab is poured a bit of a protective "sandwich" needs to be made. 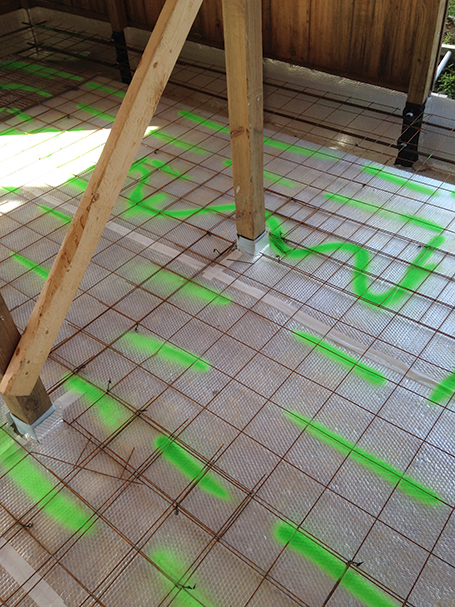 First, reflective insulation is placed on the ground and taped together. 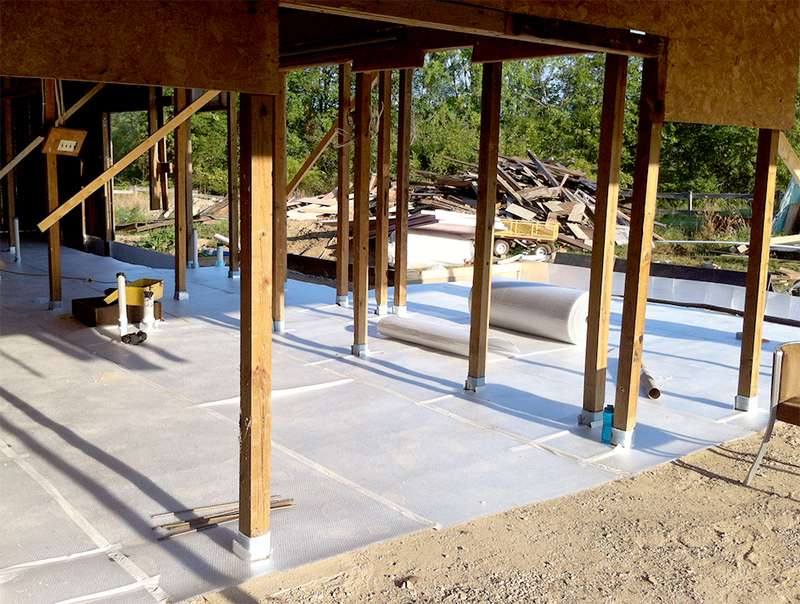 This protective barrier not only prevents moisture from coming up into the soon-to-be-poured concrete slab, it also acts as an excellent insulator for the liquid radiant floor heat system which will warm the building. 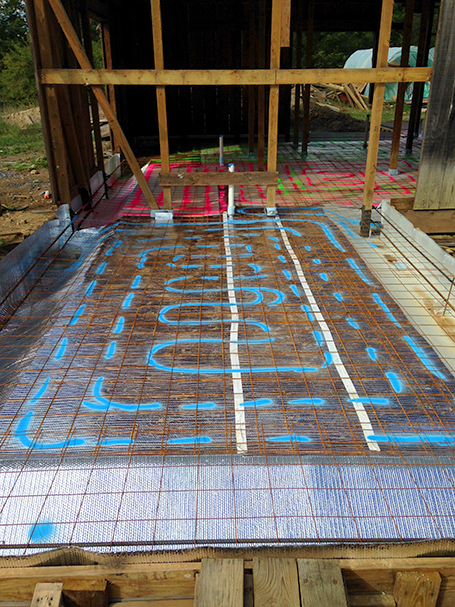 Steel rebar is the next ingredient in the "sandwich" and is placed on top of the reflective insulation barrier and secured. 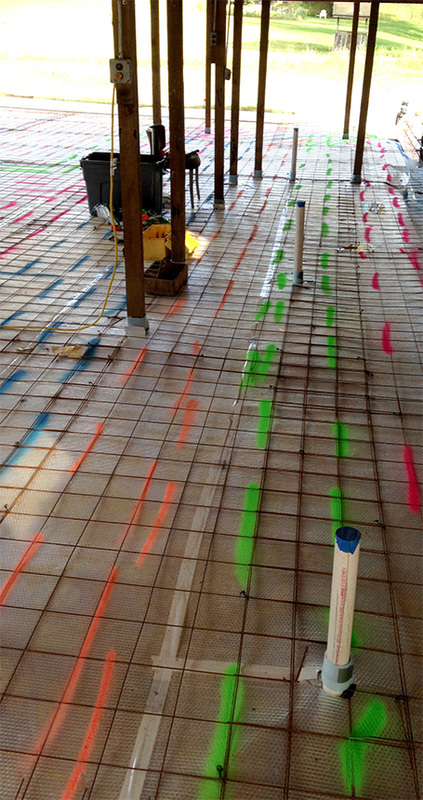 The liquid radiant floor heat system, which is amazingly efficient and one of the greenest ways to heat a building, is planned out using different colors of spray paint. 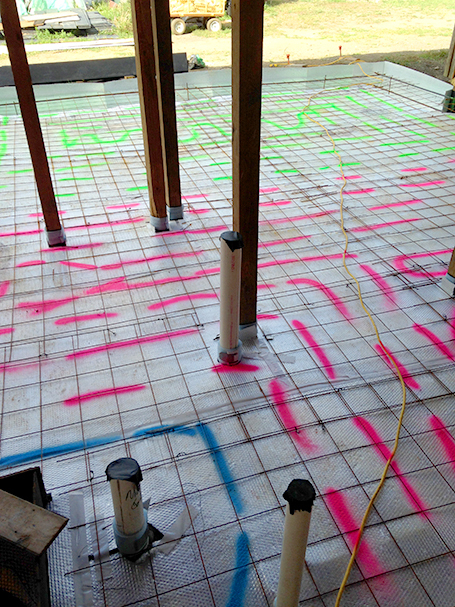 Each color of spray paint is a guide for a "loop" of flexible pipe to be laid on top of the rebar and secured. 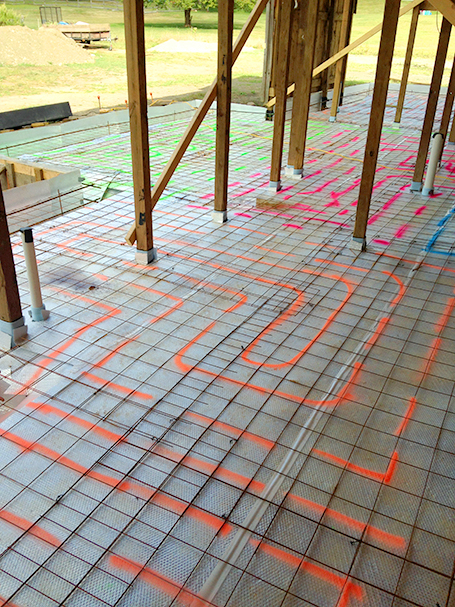 10 Horse Art Center will have 8 liquid radiant floor heat loops. The liquid will be heated by an electric boiler system whose power costs will be offset by the solar panels on the roof. It almost looks like the spray paint guides are an art installation project! 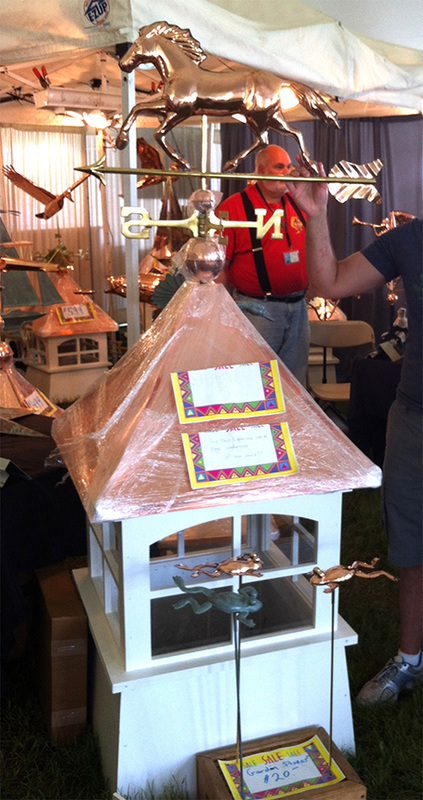 And do we have a cupola candidate here for 10 Horse? We think so!